We are one of the largest suppliers of flightcase materials in the UK. We have everything you will need to build a flight case or anything flight case related. 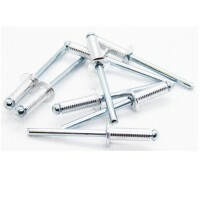 Aluminium grooved rivets with steel pin. 4.8mm dia x 12mm length. These rivets are excell..
Aluminium grooved rivets with steel pin. 4.8mm dia x 14mm length. These rivets are excell..
Aluminium grooved rivets with steel pin. 4.8mm dia x 18mm length. These rivets are excell..
Aluminium grooved rivets with steel pin. 4.8mm dia x 8mm length. These rivets are ideal f..